Save all your receipts with one click. Signing up literally takes a few seconds. Connect one or more Google, Outlook and IMAP email accounts. 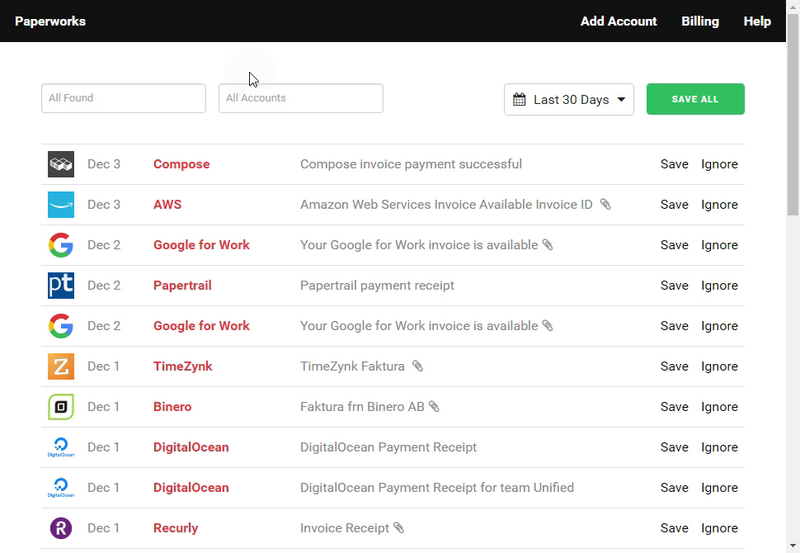 Paperworks automatically scans your email for any receipts, invoices, and payments. All in real-time. Save all of your paperwork in one-click. Paperworks downloads attachments and saves emails as PDFs for you.